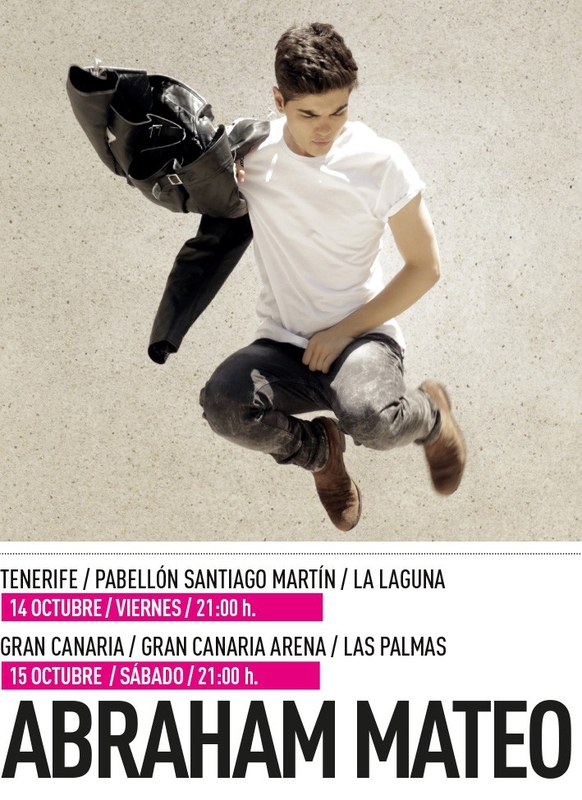 Spanish pop starr, songwriter and actor Abraham Mateo is coming to Tenerife as part of his Are You Ready tour as part of the Festival Mar Abierto in La Laguna. Mateo has just released his new album recorded last summer in London and Los Angeles in cojuction with artists such as Pooh Bear, Lindy Robbins, Talay Riley, Jef Martins, Kojak & A.C and Josh Gudwin. His albums have received one Platinum and two Gold certifications by Promusicae, the association that represents the recording industry in Spain. He was the opening act for the British boyband One Direction in Peru, Chile and Spain as part of their 2014's Where We Are Tour.